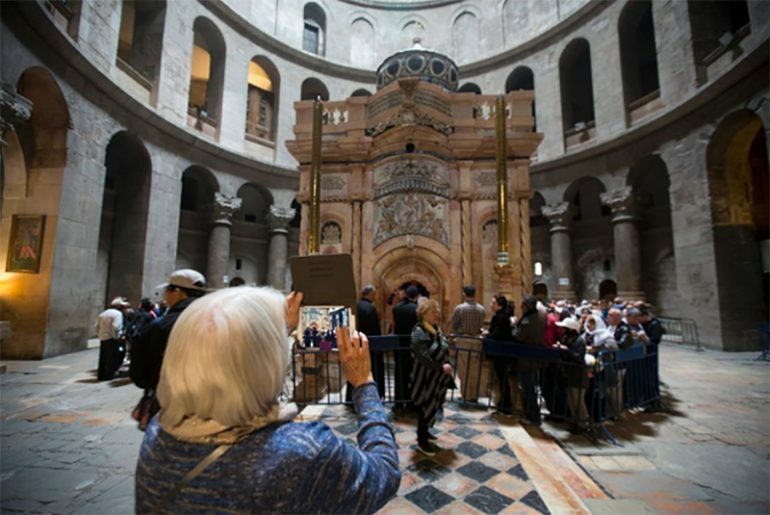 It took months of delicate restoration work before the site of Jesus’ tomb was finally opened to the public again. Of course, the site is not just a stunning masterpiece, but is extremely important for believers of Christ. It was formally reopened in March with religious leaders and donors in attendance. It took over $3.7 million to renovate the site and 9 months to complete. Most of the donations came from three main Christian denominations. One of the reasons why it took decades to start the renovation is because of disputes on which Church should have custody of the site. The Armenian, Roman Catholic and Greek Orthodox churches, all fought for custody. Eventually, these denominations have decided to put their differences aside so renovations can begin as the structure was already deemed unsafe. After 200 years, the first restorations efforts have come to fruition and it was considered a historic event. The site has a monument, including a 19th century ornate shrine. It surrounds the tomb which is considered an essential part of the Church. Over the years, hundreds upon thousands of pilgrims have visited the site. Most of them left candles to profess their faith. Sadly, candle smoke had left the monument discolored and almost coated in black. As it was a really old site, parts of the structure had already been considered unsafe. According to authorities, without renovation, millions of tourists visiting the site each year may be at risk. After the renovation, the blackened monument has finally changed its color. According to chief renovator Antonia Moropoulou, the renovation has revealed the true color of the monument- the color of hope. After restoration, the black coating was gone and it turned into warm reddish yellow. The edicule was also given more attention this time since unlike other parts of the Church that have undergone renovation in the past, it was neglected. The upper and inner domes were thoroughly cleaned. They have also installed a window to allow pilgrims to see the bare stone which was the actual burial cave. It is the first time that visitors can actually see the site. Prior to the renovation, the structure was considered a huge risk. The foundation was strengthened to reduce the risk. Seventy years ago, a temporary protective cage was placed to hold the structure together. It was removed as the structure is now a lot tougher. After the renovation, the place was seen as a brand new building. It didn’t seem like it has been there for centuries. There are also plans to continue the renovation. For instance, the basement of the edicule along with the entire floor of the church will soon be fixed if they get enough funding. The renovation was a major success. The process was even more significant. 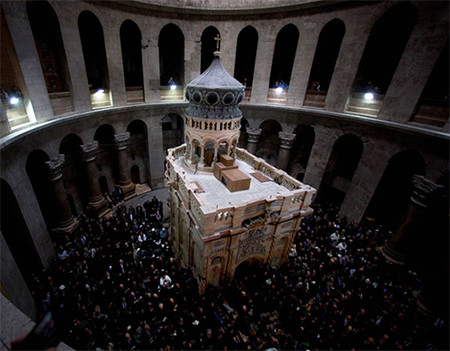 To renovate the place, the actual tomb of Jesus was opened for the first time in 700 years! It was seen as layers of history unfolding in the eyes of this generation for the first time. Marble slabs were allowed to be removed for the first time to reinforce the chamber. Internal masonry that dated back to several leaderships in the past was seen for the first time. Of course, there are still skeptics who dispute that the place was the actual burial site of Jesus. Nevertheless, the new edicule that was unveiled is just too magical that even if you are a skeptic, you will be amazed by its sheer beauty.